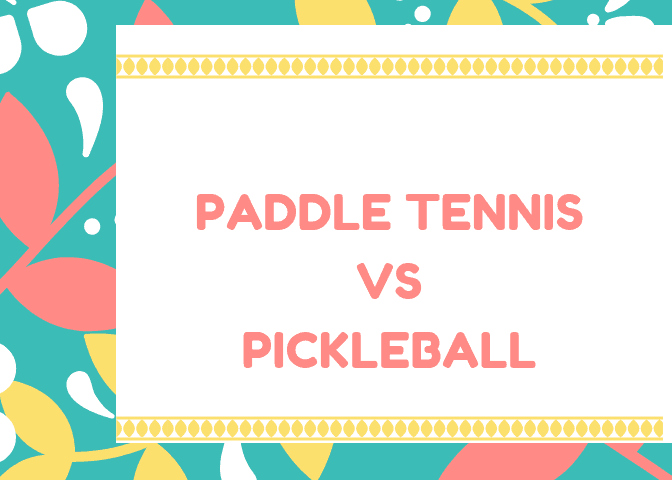 Ever Wonder What Is The Difference Between Paddle Tennis vs Pickleball? From looking at the equipment being used, it is easy to understand that many people confuse paddle tennis and pickleball. While they are both racket sports and use a ball, the similarities end there as there are significant differences. Sometimes called platform tennis, this is a game that is played on a 44’ x 20’ court with a raised 60’ x 30’ deck located in the center. The ball is crafted from rubber and the paddle is usually made from a solid material with holes no greater than 3/8” in diameter to allow for air to flow through. Scoring is similar to tennis with the first point at 15, the second at 30, the third at 40, and the fourth represents the game. To win the set, you must win six games with the best two out of three sets winning the match again, just like tennis. When players are tied at the 40 mark, a player must win twice to secure the game. Invented by three fathers who lived in Washington back in 1965, pickleball is a simple, fun game that is played on a badminton court. The net is near the ground just like in tennis and a plastic ball is used along with solid paddles as opposed to tennis rackets. The scoring is different than paddle ball or tennis as a single game is play to 11 points with a two-point lead required for there to be a winner. The major difference between paddle tennis and pickleball is the scoring system which means theoretically longer games in pickleball. Another difference is that the ball is rubber in paddle ball while it is made from plastic in pickleball. You also serve underhanded in pickleball, which makes for a different type of serve that is theoretically easier to return. 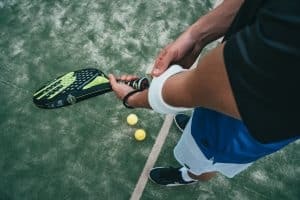 With less bounce on the ball compared to paddle tennis, this means that different techniques and strategy are needed to succeed in pickleball. In fact, pickleball may be best described at playing ping pong where you get to stand on the table. Paddle tennis is more akin to standard tennis thanks to the rubber ball. The only real difference is that instead of a tennis racket, you use a paddle instead. There are notable rules in both pickleball and paddle tennis which offer other differences as well. One important difference is that in pickleball, the zone that extends from the net, popularly called the “kitchen” is not allowable for volleys unless the ball has bounced first. Otherwise, the games are rudimentary similar and many who play one will often try the other. 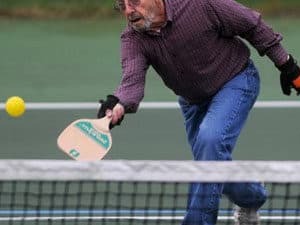 Pickleball has grown considerably over the past half-century, especially in the last few years thanks to the combination of ease of play, association membership, and relatively inexpensive equipment along with tennis courts readily available for pickleball. For paddle tennis, the advantages are similar, although the interest in the sport is not rising quite like pickleball.